However, alcohol content varies more than you would expect. I have taken the time to plot this very relationship. We can obviously cast aside all the beers above the best fit line as they serve little purpose. There are a considerable number of outliers to consider. Olde English 800 (5.9%/160) and Rolling Rock (4.5%/120) are certainly contenders. But the “ice beers” seem to serve us well — Keystone Ice (5.9%/142 calories) is followed closely by Milwaukee’s Best Ice (5.9%/144) and may prove sufficiently ironic for the Mission. 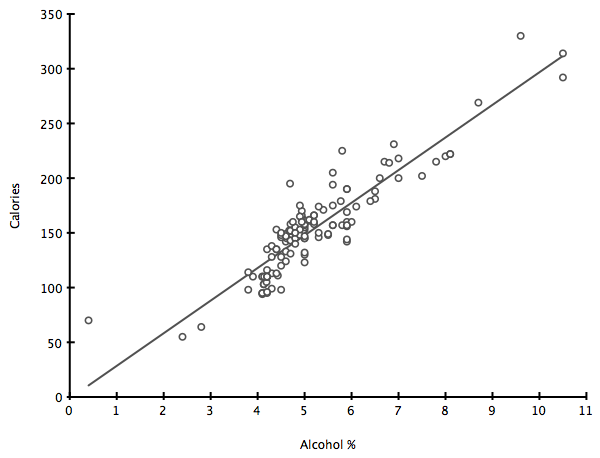 But rather than eyeballing this, if we list the alcohol % per calorie ratio (bang for the buck) a surprising trend develops: the lite/light beers actually prove most potent. And through scientific study I have determined that for a beer to be truly ironic it must break 3.5 — sorry PBR and Hamm’s, you just don’t cut it. 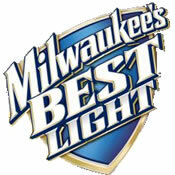 Behold Milwaukee’s Best Light (4.5%/98), the new ironic beer! At 4.59, Milwaukee’s Best Light simply crushes the rest. PBR and Sierra Nevada fail by over 1.2 points! Sadly this finely crafted brew is not available at BevMo. UPDATE: Sadly, it turns out that MBL is merely Miller’s ‘economy label‘. But Beer Advocate gives it a D! This clearly means we will see it in Dolores Park in the very near future. Dude, Milwaukee’s Best and Old Milwaukee were the late 90’s Santa Cruz PBR. We used to down cases of Beast back east when I was a student at University of Maryland (College Park). It’s pretty friggin’ terrible tasting but it was a bottom shelfer, if you know what I mean, so as poor college students its what we could afford. Check out my uh ironic failure to include an apostrophe in it’s. Guinness is apparently only 120 calories. not as low as your MBL, but much tastier. True on taste. What’s the ABV% for Guiness? Is it the same in Europe and North America? Sadly the Irish Guinness is only 4.0% with 125 calories, leading us to a respectable but pedantic 3.2. I’ve heard the 200 calorie data point, but Guinness has a surprisingly large number of blends for each country. However, the BeerNet leads me to believe the Guiness Foreign Extra Stout comes in a whopping 7.5% and 176 calories, leading to an impressively ironic 4.26! High calorie content is a feature of hipster beer, not a bug. Higher calories = less money needed for food = more money to spend on beer!